At first I did white primer work. 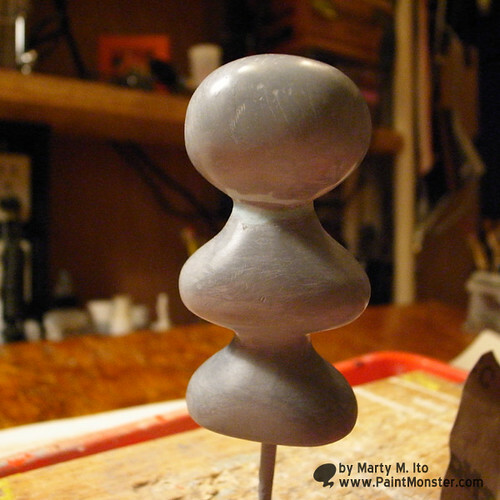 When I made original sculpture, I used gray primer. because I want to find some gap on original sculpture. however, I used white primer this time. Primer is used to improve established of paints. 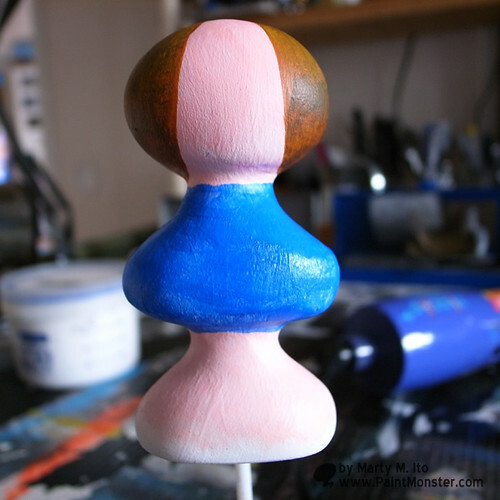 Primer is used to improve established of paints. It dries at once because the primer was thinly painted. The following paint Gesso. It uses it like the stock solution. 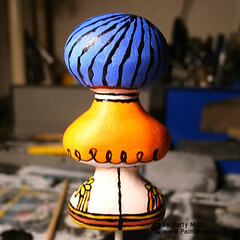 The stripe with the brush is seen. 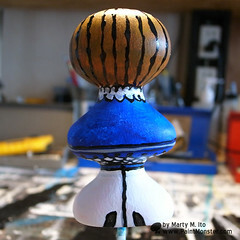 This stripe looks the final product as wooden. The work of the undercoat was finally finished!! 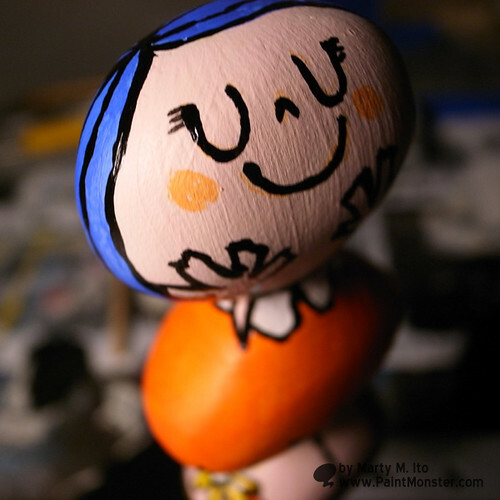 Then, it is enjoyed color paint work!!! First of all, the skin tone is painted. 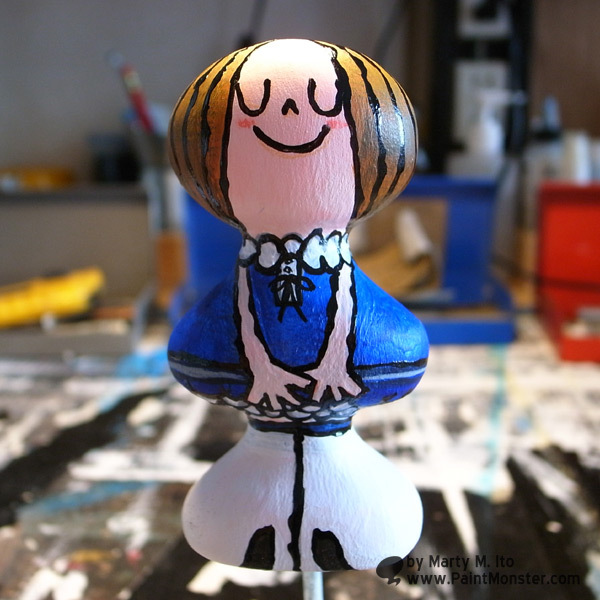 The following paint the hair and clothes with the dry brush. Details are drawn. It has come to be able to expect completion considerably. 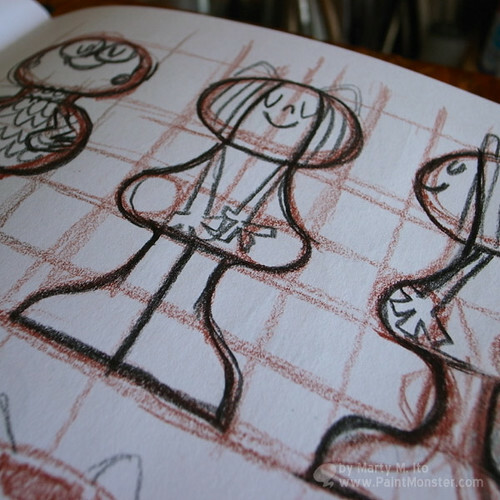 In addition, details are drawn. The color paint is almost done at this stage. and black line added! and FINISHED!!!! the draft orange line used watercolor pencil. 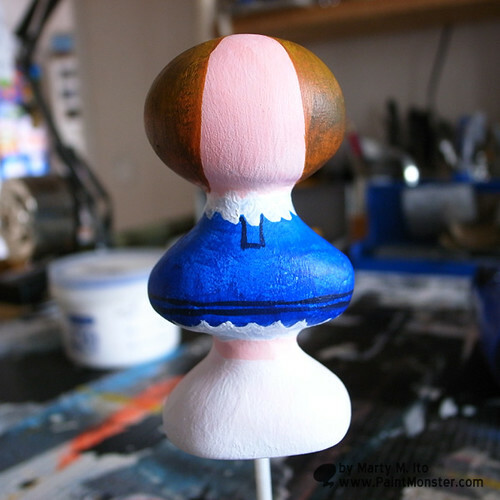 when paints are dried, The line disappears when rubbing with the brush to contain water. in next time, I'll make background board. thanks for the watch my report! Hi folx, I'll report with clean up of resin sculptures. 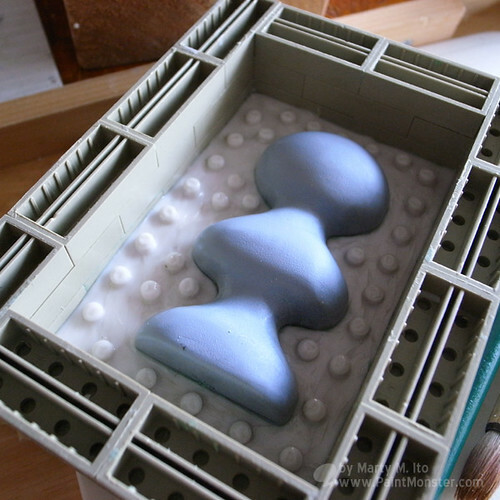 To make the resin easy to remove from the silicon mold when reproducing with the resin, the silicon oil is sprayed. It is no problem if it doesn't use with the silicon oil. However, to make the mold of silicon last long, the silicon oil is important. But, this silicon oil sheds even paints. 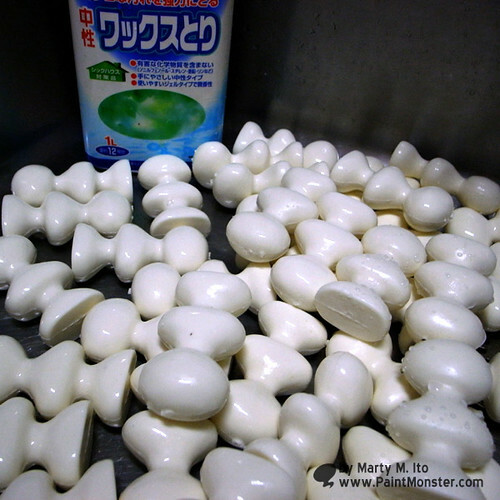 my favorite wax remover is Asahipen Wax Remover "WAX-tori". it's really awesome remover! it's very easy to use for wax remove. Moreover, because it is a neutral, the earth is not damaged with the person. I removed 50 pieces all. My hands became clean up with removing Resin Sculpture. I'll start to paint with primer next time. 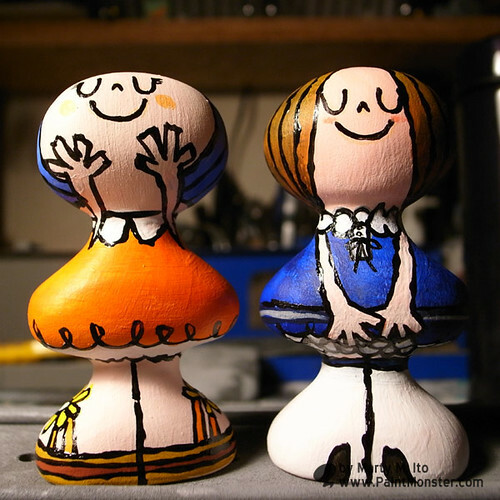 I want to paint for sculptures!!! Oh kay I'll continue the posting! made with silicon mold today. at first, added particle line line on original model. 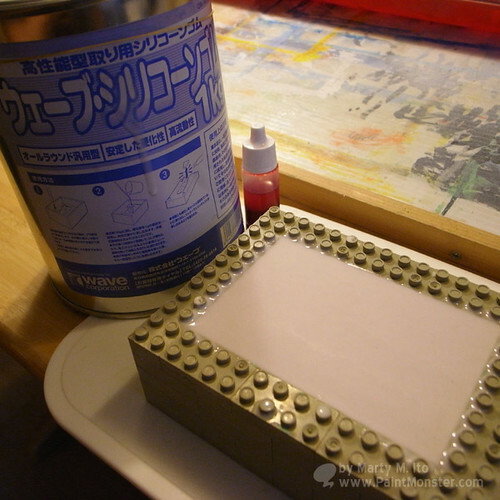 By the way, the frame is a plastic block special for molding. It can removes easier than Lego. clay work was done, and I poured the silicon to frame. 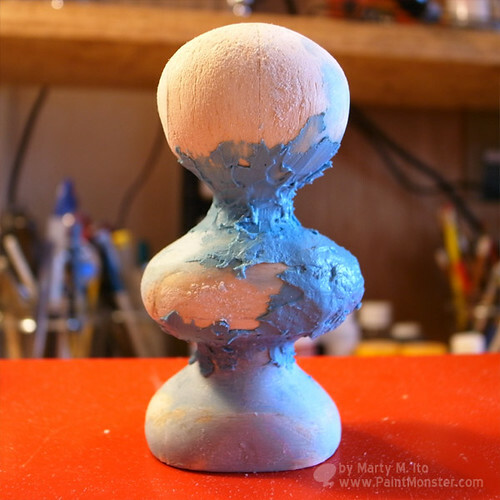 The ruggedness is put on clay with the top end of a pole so that the mold may prevent the gap. The silicon is harder 1g per main silicon 100g. It takes about 24 hours until completely hardening though liquidity will stop in about 1 hour. I think that you have already noticed. The type of silicon will make single-unit in 2 days. Yes. 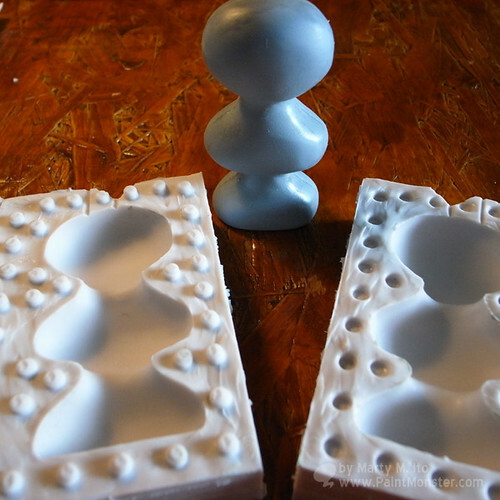 Both finally silicon molds were completed. It is glad somehow. The reproduction single-mindedly work after this. 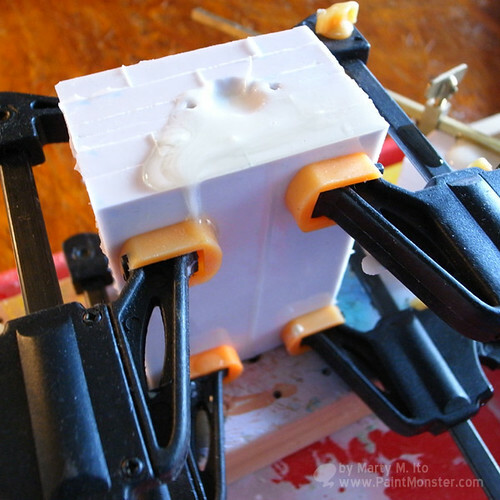 The resin was poured in silicon mold. The resin of 44g per 1 sculpture is needed for this work. 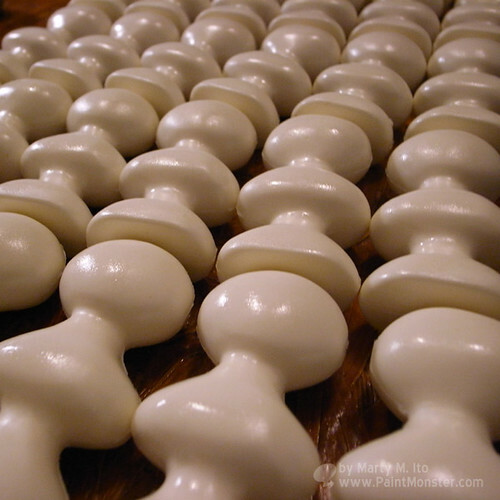 The mixture ratio of resins is 1:1. The resin of 22g is quick mixed respectively and it pours it in the silicon mold. This resin generates heat up to about 80 degrees while mixed. And, it stiffens at about 5 minutes. Therefore, I must work very quickly. Thus, I reproduced 30 pieces today. I'll adjust the limitation first time number to 50 pieces this time. 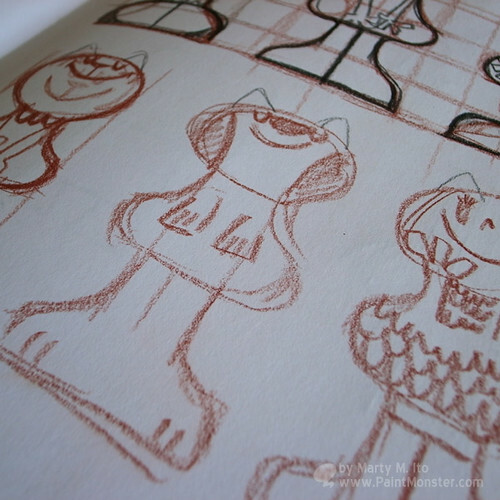 Therefore, it is necessary to reproduce 20 pieces more! 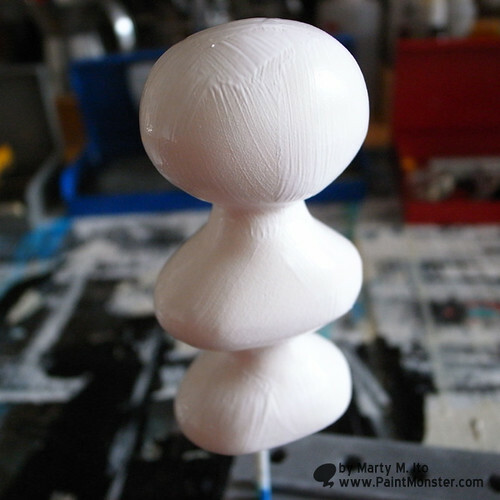 in next time, I'll clean resin sculpture and add primer. Sorry for the stopped report of my nu sculpture project. Other work of me was busy. However, I spread the primer on this sculpture. I still chose the primer for the restoration of the car. This painting is too thick for a delicate expression, because of this primer is unsuitable. However this primer is convenient. Because when small hall was done, it become invisible by this primer. 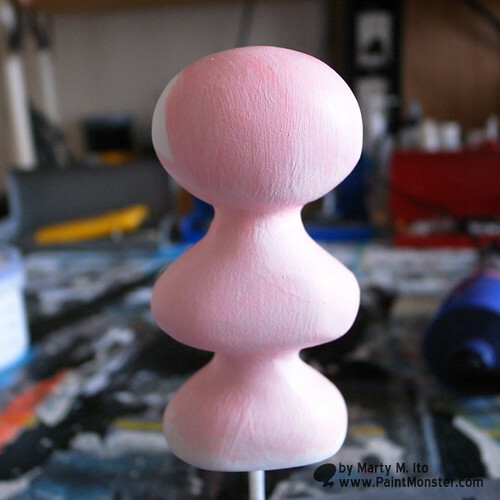 When the primer dries enough, the sanding is done. It starts and from the #400 it finishes it up by the #1000. It's almost done, but I'll put 2nd primer work. because I want to put on like a "surface of OLD MAC body" of this sculpture. Because it was not so fine today, spreading the primer of second was stopped. The grain of the spray grows if it spreads it on the day when humidity is too high. Therefore, I wait for fine day. The primer of second will be spread next time. And, Mold is made from silicon. By the way, the speed of stiffening goes up in silicon when humidity is high at the high temperature. 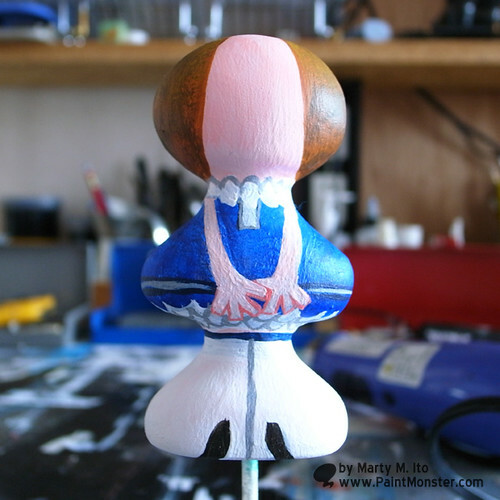 as for today, I did poly putty work on the balsa wood. 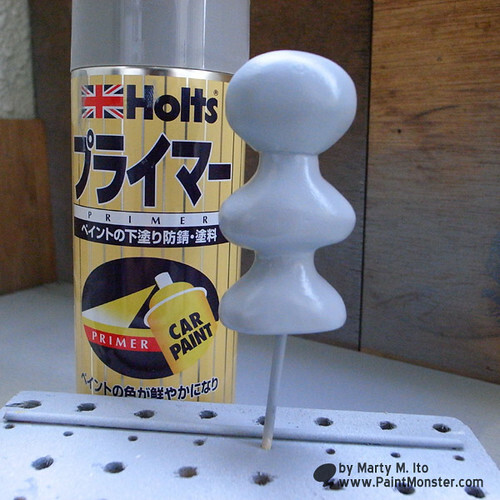 this is HOLTS POLY PUTTY for car fixing! 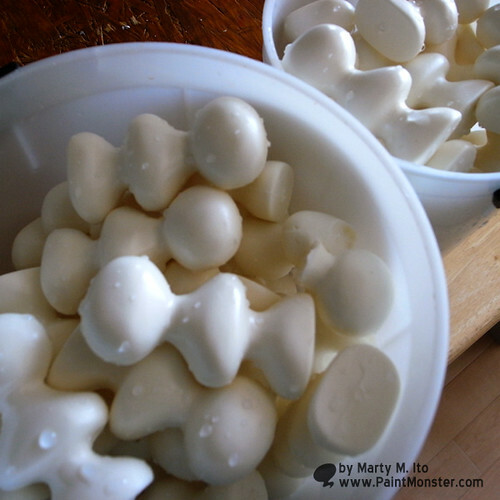 I love this poly putty because it's so quickly harder and nice size! 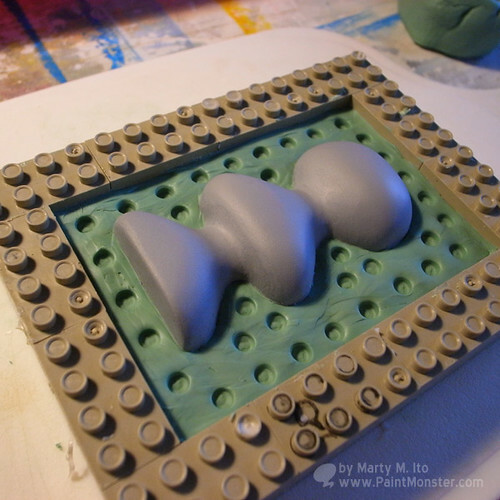 at first, I put poly putty by each parts. 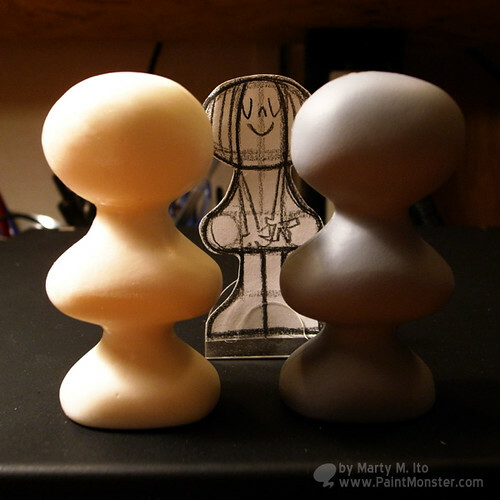 poly putty became hard per 4 or 5 minute. when it was harder, I just do a sanding! It joints by the quick glue of three parts. There are distortion and dusting because it doesn't handle the machine. However, it doesn't worry. Handmade goodness is in the distortion!! 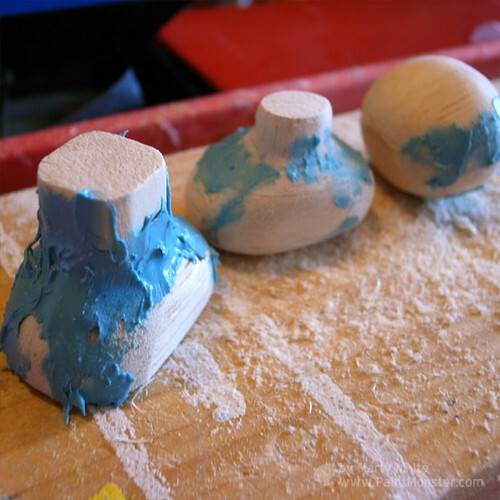 And, poly putty is piled up further and shaping. At this point, there are a few ruggedness and small holes, etc. , too. 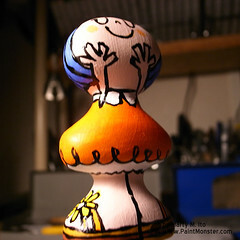 However, it might be OK now because it corrects it when the primer is painted after this work!! 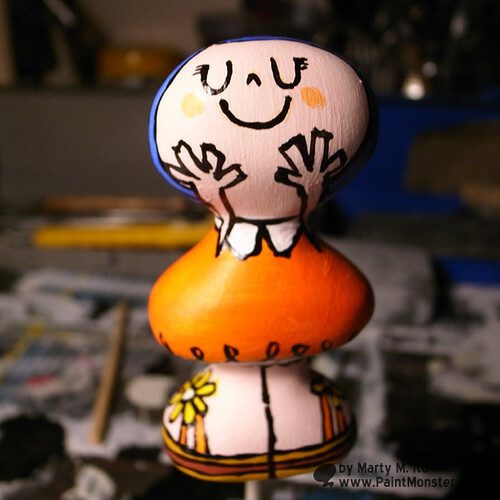 when tomorrow is fine day, I'll splay with primer. 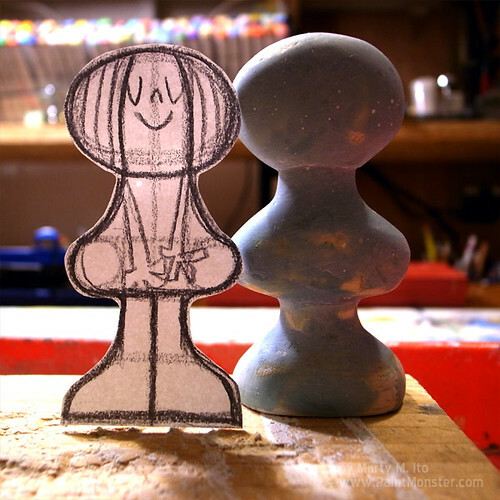 I was taking a rest from sculpture production for a while because I was busy. However, I obtained time to finally produce a new sculpture work. 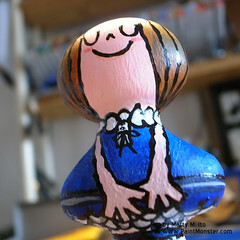 As for this work, it is scheduled to reproduce with the resin, and put color with the acrylic color one by one. It is scheduled to sell it in an online store when these are completed, and please enjoy the fabrication process until completing! 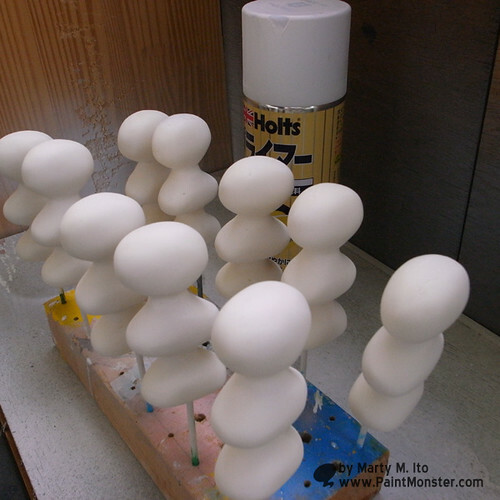 as for this time, I am planning to make with single mold with resin. I think that I make the variation from paint of these. This sketch is testing for "If the ear is attached, it is sweet?" An optional, unique parts will be able to be made. 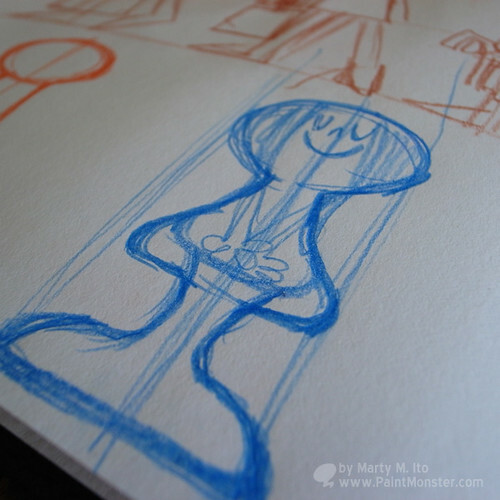 This model decided to be designed finally as a basic model. In the size, the height is about 2.5 inches. 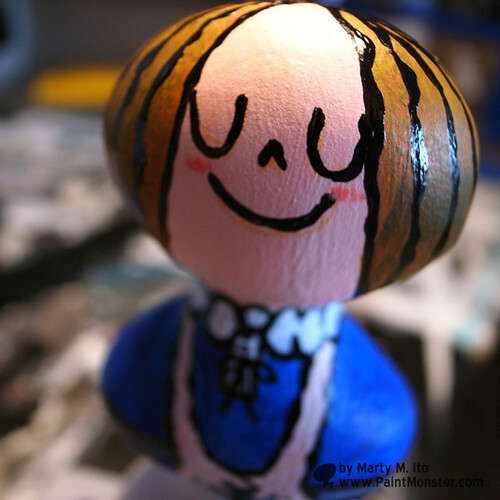 I decided to use balsa wood. 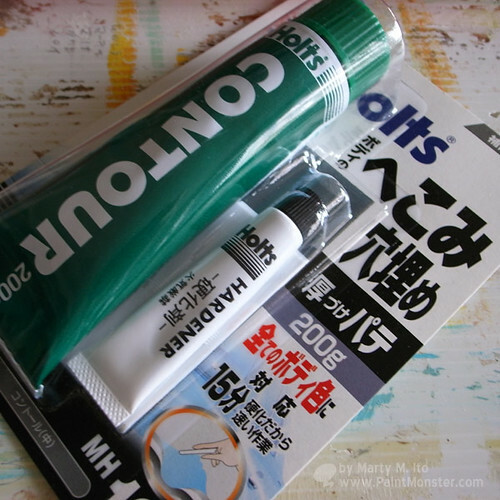 I love the balsa package of #5 by Tokyu Hands (DIY shop)!! 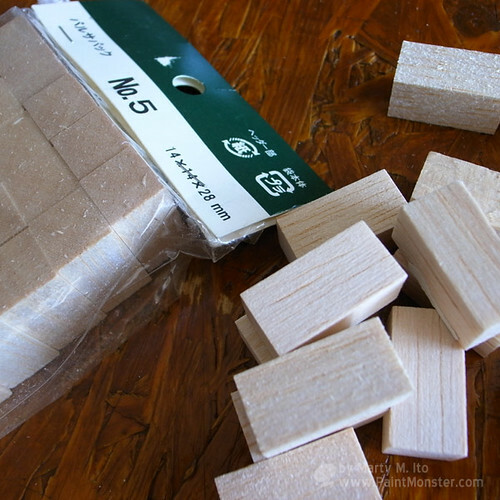 The block of balsa was rough shaped with QuickGlue. and cutting by knife. 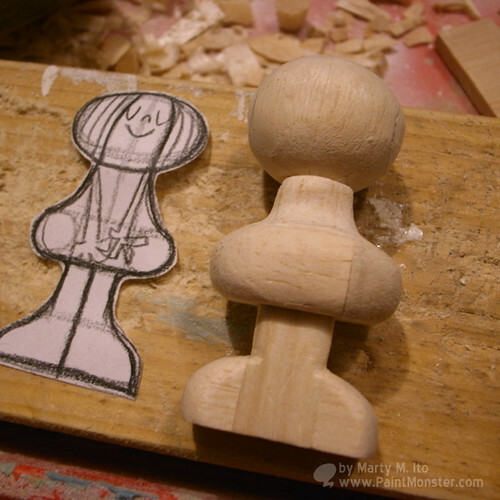 Because the balsa wood is soft, the carving is easy. I'll post continue with next step soon!